Mukt-e-Minar, a memorial dedicated to 40 "muktas" (liberated ones), built in 2005 here has been lying in a state of neglect. 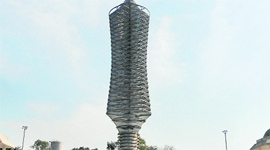 The memorial having the tallest "khanda" (81-ft) in the world is located along the District Administrative Complex here. It was opened with much fanfare, but now the monument is gathering dust for want of proper upkeep. In sharp contrast, the government recently inaugurated a number of monuments dedicated to Sikh history at various places in the state. Hardly any visitor can be seen here these days and the slow pace of construction of a road connecting to it is proving to be a major hurdle. Heaps of clay lying in front of the monument have blocked the entrance. The rings girdled with khanda are now covered with rust and some of the lights installed there are also missing. The minar is crying for immediate attention of the authorities, which spent nearly Rs 5 crore to build it in February 2005 on the 301st martyrdom day of the "muktas". Hardeep Singh, a local resident, alleged that the monument was facing neglect because it was built by the then Congress government. 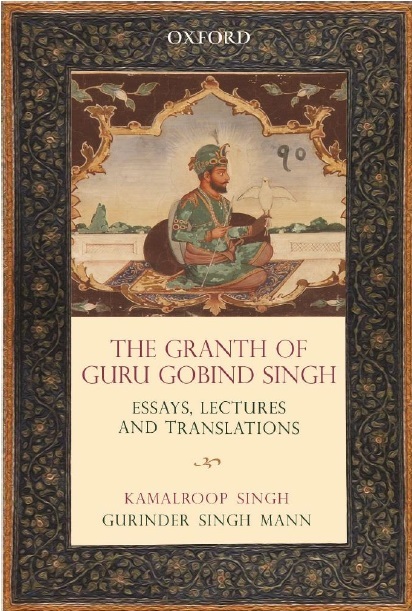 "Neither the Akali government nor the SGPC authorities gave due respect. No wonder, no one pays any heed towards the upkeep of this monument, which is gradually turning into a safe haven for drug addicts," he said. Gurmeet Singh, another resident, said, "Before inaugurating a number of historical monuments, the government should have first asked the authorities to look after all of the existing memorials". Hira Lal, SDO, Mandi Board, said, "The road construction work is in full swing and we will complete it in a short period". SGPC chief Avtar Singh Makkar feigned ignorance about the poor upkeep of the monument, but assured to do the needful at the earliest. "I will ask the officials concerned to visit the monument and restore the things," Makkar added.